Fernanda Baião is an Associate Professor of the Department of Applied Informatics at the Federal University of the State of Rio de Janeiro (UNIRIO), Brazil. She received her D.Sc (2001) and M.Sc. (1997) degrees in Computer Science with emphasis in Databases from the Federal University of Rio de Janeiro (COPPE/UFRJ), Brazil, and during her PhD she worked as a visiting researcher at the University of Wisconsin, Madison (USA). Her research interests include Conceptual Modelling and Ontologies, Data and Process Mining, Ontology Matching and Data Management in large-scale distributed and parallel environments. She participates in research projects in those areas, with funding from several Brazilian government agencies, including CNPq, CAPES, UFES and FAPERJ. She also participates in international research projects from the EU (RISE-BPM). She chaired and participated in several program committees of national and international conferences and workshops. 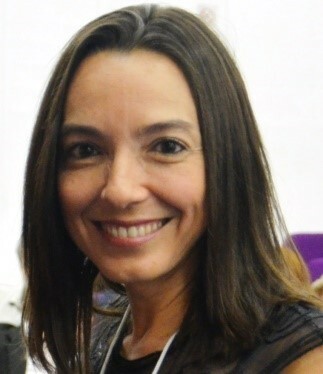 She is a heading member of the Brazilian Special Commission on Information Systems, and is a member of ACM and of the Brazilian Computer Society. Saimir Bala obtained his BSc and MSc in Distributed Systems at Sapienza University of Rome. His master thesis dealt with the implementation of a fault tolerant web-service orchestrator for the GreenerBuildings EU project (http://www.greenerbuildings.eu/). Benjamin Barann is a research assistant at “Chair for Information Systems and Information Management” of the University of Muenster which is part of the “European Research Center for Information Systems.” He holds a BSc and also an MSc with honors in Information Systems from the University of Münster, Germany. During his studies, Benjamin worked for different consulting companies in the area of “Enterprise Customer Performance and Experience” with a focus on business intelligence. 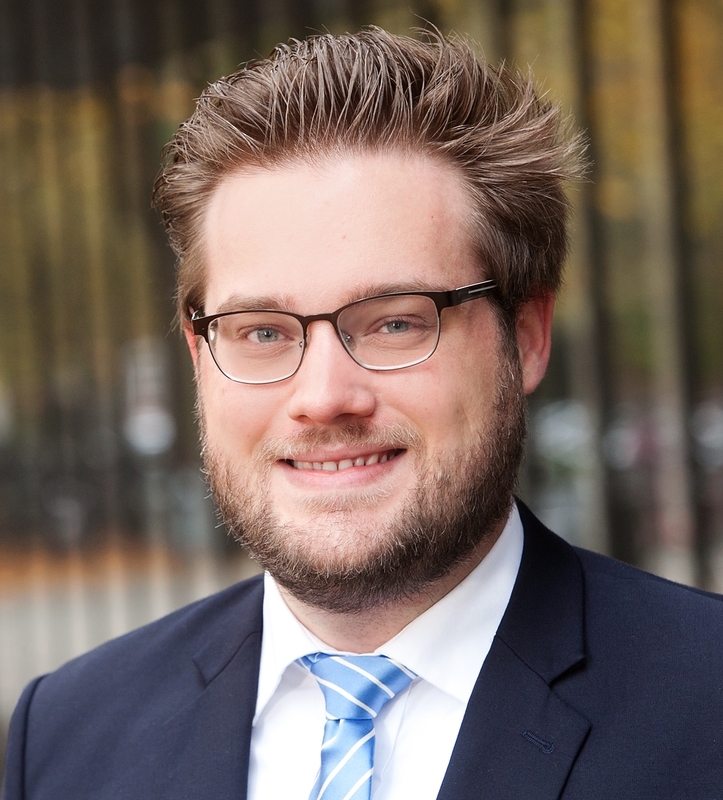 Christian Bartelheimer is a research assistant and Ph.D. candidate at the chair of Business Information Systems at Paderborn University, Paderborn, Germany. His research interests include Service Design and Management, Business Process Management and the design and evaluation of (organizational) IT artifacts. Currently, Christian is working on two public-funded research projects where he conducts most of his research. 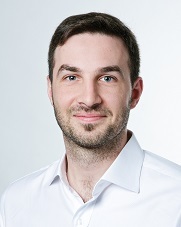 In one project, he investigates the emergence of (digital) service innovation through digitalization of processes (http://digivation.de) and the other project comprises the design, implementation, and evaluation of a digital community platform for local high street ecosystem (http://smartmarketsquare.de/). In his Ph.D. he focusses on the design, implementation, and evaluation of digital platforms as facilitators of innovative (digital) service offerings that enhance service systems to become superior smart service ecosystems by enabling platform-initiated interactions between different groups of actors of an ecosystem. Jan Betzing is a research assistant and Ph.D. student at the University of Münster, where he also received his Master's degree. He could already establish some contacts to the Queensland University of Technology (QUT) prior to RISE_BPM, where he wrote his Master's Thesis in the area of business process automation. 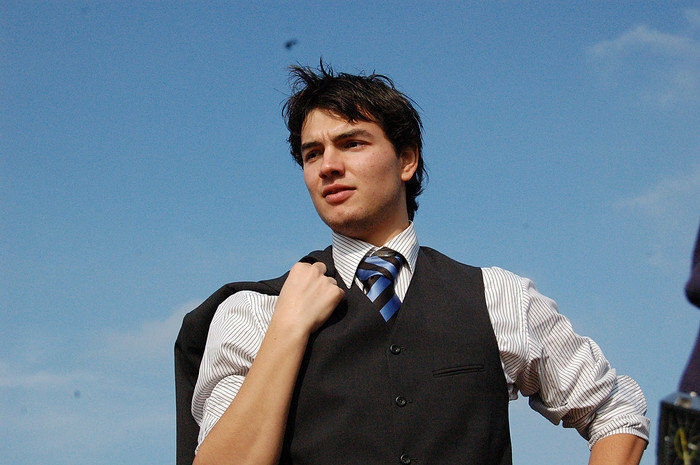 Jan's main research interests comprise information systems design and service engineering. In particular, he researches, how smart devices and location-based, context-adaptive mobile services can support SME retailers in their digital transformation. Hereby, he adresses the influence that smart devices have on retailer's business processes and aims at building IT artifacts that retailers can use to co-create value with their customers. 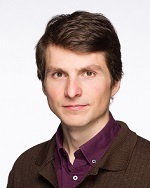 Daniel Beverungen works as Privatdozent (Associate Professor) at the European Research Center for Information Systems (ERCIS), University of Muenster, Germany. From April 2016 he works as a Full Professor for Information Systems at the University of Paderborn, Germany. His main research interests comprise service management and service engineering, business process management, information modelling, and the design of business information systems. His research has been published in peer-reviewed academic journals (including IEEE Transactions on Engineering Management, Business & Information Systems Engineering, Government Information Quarterly and Electronic Markets) and was presented at all major Information Systems conferences. In addition, Daniel was involved in developing several German industry standards. He serves on the editorial board of Business & Information Systems Engineering and as a guest editor, editor and reviewer for various academic journals. 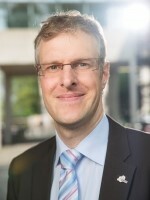 In addition, he is the spokesman of the Focus Group on “Business Process Management and Qualifications for Electric Mobility Services”, sponsored by the German Federal Government, and the president-elect of the Special Interest Group Services (SIGSVC) of the Association for Information Systems (AIS). Daniel Beverungen is a Professor for Information Systems at the University of Paderborn, Germany. His main research interests comprise service science management and engineering, business process management, information modelling, and the socio-technical design of information systems. His work has been published in peer-reviewed academic journals (including European Journal of Information Systems, IEEE Transactions on Engineering Management, Business & Information Systems Engineering and Government Information Quarterly) and presented at all major Information Systems conferences. In addition, Daniel was involved in developing various industry standards. 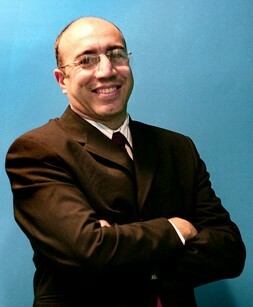 He is a member of the editorial board for the journal Business & Information Systems Engineering, a guest editor for the Information Systems Journal and for Information Systems and E-Business Management, and has been serving as a chair, associate editor, and reviewer for various academic conferences and journals. From 2016 – 2018, Daniel was the President of the Special Interest Group on Services (SIGSVC) in the Association for Information Systems (AIS), representing some 200 researchers from all three regions of the AIS. Jens Brunk is a research assistant and Ph.D. student at the University of Münster, where he also received his Master's degree. 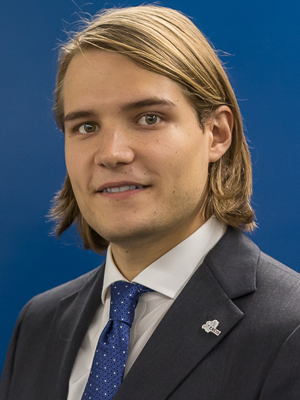 Through the European Research Centier for Information Systems he could already during his studies establish some contacts to the University of Liechtenstein. Jens' main research interests comprise information modeling and management and data driven process analysis and prediction. 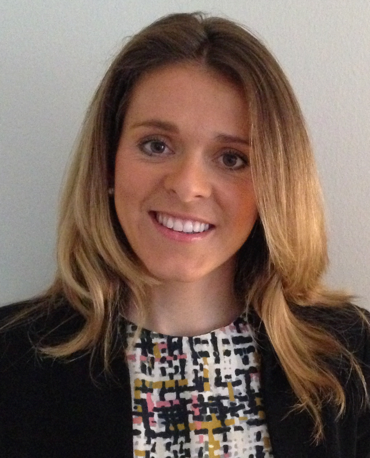 Dr. Cristina Cabanillas is a post-doctoral researcher at Vienna University of Economics and Business, Austria. She finished her B.Sc. degree on Computer Science with honours at the University of Extremadura, Spain (2008). Then, she graduated as a M.Sc. on Software Engineering and Technology (2010) and obtained her International Ph.D. with honours at the University of Seville, Spain (2012). 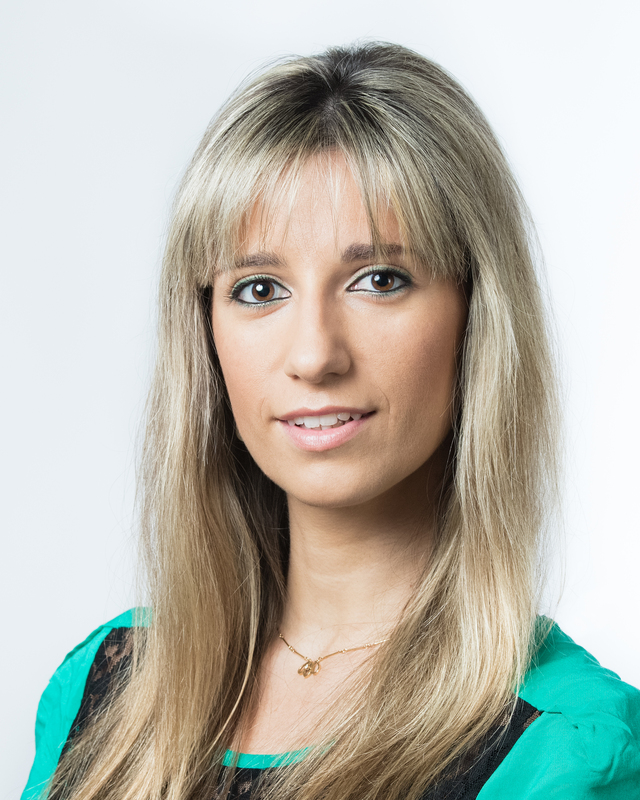 Dr Claudia Cappelli is a professor and a member of the post-graduate program at Applied Informatics Department of the Federal University of the State of Rio de Janeiro, Brazil. She received her Ph.D. degree in Computer Science from Pontifical Catholic University of Rio de Janeiro and M.Sc. degree in Computer Science from Federal University of Rio de Janeiro (UFRJ). She worked many years in multinational industry companies. She held a Post-Doctoral internship at Unirio (2010). She has experience in organizing workshops and conferences. She is the Regional Secretary of the SBC (Southeast Region) in Brazil. Over the years she has developed several partnerships and work with government entities. Her research focuses on Information Systems, especially on the following subjects: Business Process Management, Enterprise Architecture, E-Government/E-Participation and Organizational Transparency. 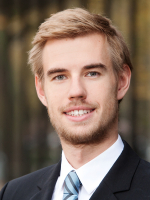 Matthias Carnein is a PhD candidate at the group for Information Systems and Statistics at the University of Münster. He received his Bachelor's and Master's degree in Information Systems from the University of Münster in 2013 and 2015, respectively. His current research focuses on methods used in data science including the analysis of data streams and clustering with applications in market segmentation and customer relationship management. D.Sc. in Production Engineering with emphasis in Management and Innovation, COPPE / UFRJ; Master of Design from PUC-Rio and Industrial Designer from ESDI/UERJ. Multidisciplinary professional experience with relevant publications about Design, Knowledge Management and Education. Researcher focused in Design Thinking, BPM, Innovation and Entrepreneurship. Professor of the Department of Applied Informatics at UNIRIO (Federal University of the State of Rio de Janeiro, Brazil). Friedrich Chasin is a research assistant and a Ph.D. student at the University of Muenster. He received his Master's degree from the University of Muenster and completed his studies at the University of Sydney. His research interests are focused around topics such as Green BPM, sustainability and the Peer-to-Peer (P2P) Sharing and Collaborative Consumption (SCC) services. 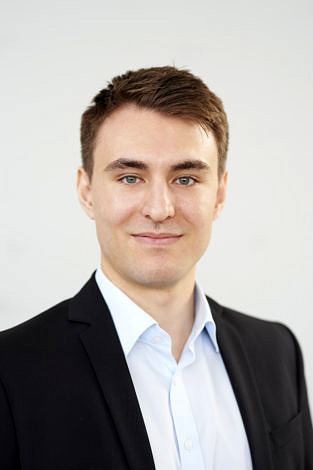 He is currently involved in a research project that aims at developing a P2P SCC service for the electric vehicle charging infrastructure with the overall aim of supporting the development of a more sustainable transportation in Germany. 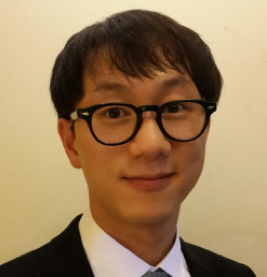 Minsu Cho is a Ph.D. candidate at the department of Management Engineering at Ulsan National Institute of Science and Technology (UNIST). He received his B.S. degree in Technology Management from UNIST in 2013. His main research focus on process mining in healthcare. Specifically, his research interests include clinical pathway analysis, simulation analysis using process mining and process mining case studies. 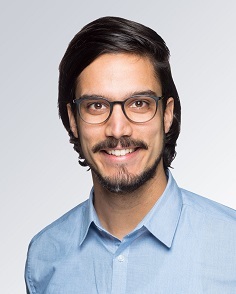 Nico Clever is a postdoctoral research assistant at the Chair for Information Systems and Information Management at the Department of Information Systems of the University of Münster. He received his Master’s degree in Information Systems from the University of Münster. In his Ph.D. thesis, Nico covered the holistic design and application of the process modelling tool icebricks which is actively utilized in a number of practical consulting projects as well as further developed on an academic basis and applied in his teaching. Additional research interests lie in the areas of Compliance Management, Data Management, Business Intelligence, Software Engineering, and Test Management. 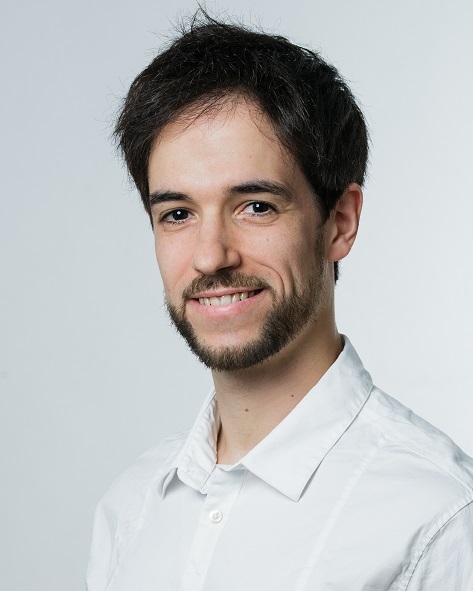 Nico has presented and published his work at renowned conferences, including the European Conference on Information Systems (ECIS), Design Science Research in Information Systems and Technologies (DESRIST), and IEEE Conference on Business Informatics (CBI). Marco Comuzzi received his PhD in Information technology from Politecnico di Milano in 2007. He is now an assistant professor with the School of Management Engineering at UNIST (Ulsan National Institute of Science of Technology), Republic of Korea. Prior to this, he held positions at the Eindhoven University of Technology and City, University of London. His research interests lie in the areas of business process management and enterprise systems. Most recently, his research has focused on developing innovative frequent itemset mining algorithms applied to the extraction of relevant knowledge from business process event logs and on the optimisation of business process operational support. He has 50+ academic refereed publications. 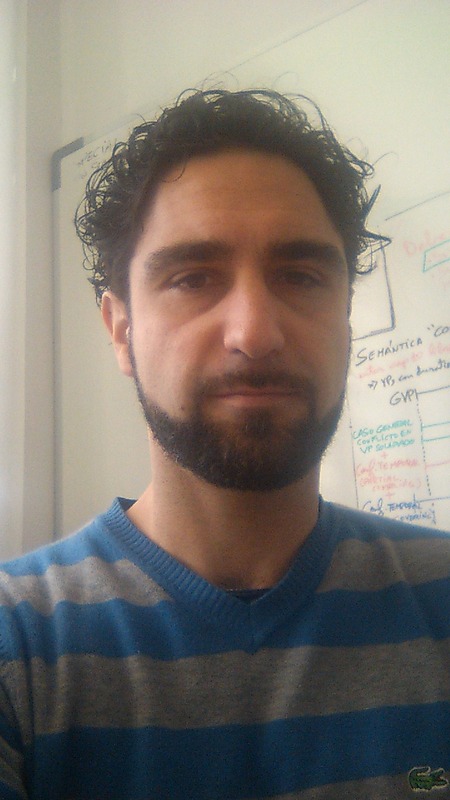 Dr Comuzzi serves in the IEEE SMC technical committee on Enterprise Systems since 2016, in the editorial board of Service Oriented Computing and Applications (Springer) since 2011, and is among the organisers of the 1st workshop on data in mining in BPM (in conjunction with the 2017 Pacific-Asia Confernece on Knowledge Discovery and Data mining). He serves as a regular reviewer for several academic journals, including the IEEE Transactions on Services Computing and IEEE Transactions on Industrial Informatics. 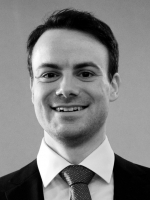 He has been involved in several EU and national collaborative research projects in the areas of enterprise systems and service-oriented computing and has experience as a consultant on enterprise systems-related issues in the private sector in Italy, UK and Korea. Corchuelo Rafael began his professional career in 1996, when he started to work for the Department of Computer Languages and Systems of the University of Seville. 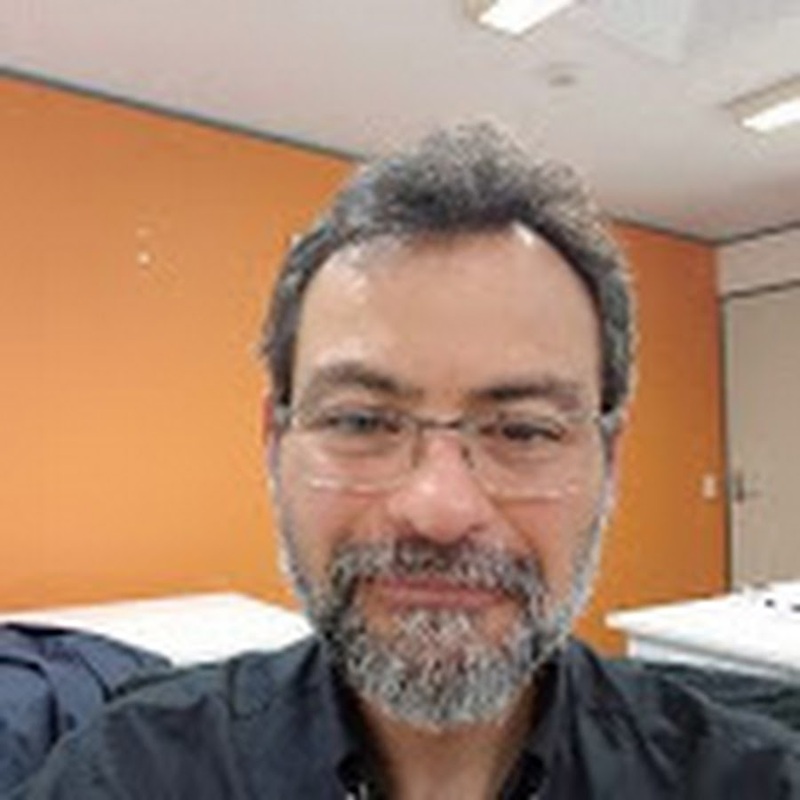 His first steps in the research world were conducted under the supervision of Prof. Miguel Toro with whom he worked on a run-time system to support the execution of a distributed systems specification language. He earned a PhD in Software Engineering in 1999 with a thesis on the previous work. He then focused on two aspects of distributed systems: fairness, which has to do with guaranteeing that autonomous objects that are ready to execute as many times as possible in a setting in which they all compete for resources, and service provisioning, which has to do with providing business processes with outsourced services in an open, dynamic market. In 2007, his research focus moved towards the field of enterprise application and information integration, with an emphasis on cloud technologies and social media analytics. During his career as a researcher, Rafael Corchuelo has helped set up two spin-off companies that currently hire roughly 20 software engineers and specialise in providing enterprise consulting and solutions regarding application integration and social media analytics. 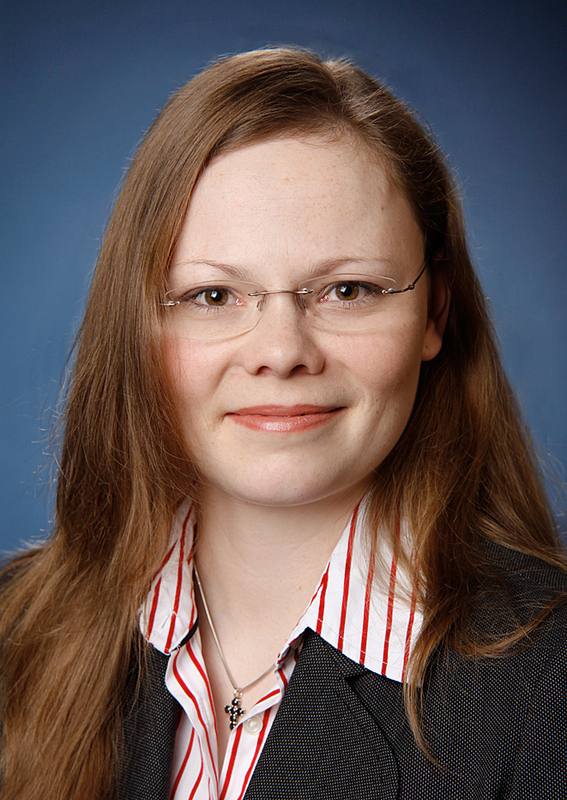 Ann-Kristin Cordes is an assistant professor at the Department of Information Systems at the University of Münster, Germany. In 2017, she received the Ph.D. degree in Information Systems from the University of Münster for her work about processes, prognostics and planning of spare parts supply chains for condition based maintenance. Her research interests include various topics in the area of business process management and information systems focusing on the application areas of retailing and production. Adela del Río Ortega was born in Seville, Spain in 1983. She studied Software Systems Engineering at the University of Seville from 2001 to 2007, receiving her Bachelor's degree. As part of that she spent two semesters at the Humboldt-Universität in Berlin, Germany. Then, she graduated as a M.Sc. on Software Engineering and Technology in 2008. From June 2008 to september 2012 she worked as a research assistant and PhD candidate at the University of Seville, obtaining then her International Ph.D. with honours . Research visits led her to the HPI in Potsdam, Germany, during 3 months; to the Alarco Research Group at the UCLM in Ciudad Real, Spain, during 6 months; and to VU Amsterdam, The Netherlands, during one month. Her Ph.D thesis dealt with the specification and automated analysis of key performance indicators in business processes, and her main research topics are conceptual modeling and process improvement, in particular the process performance perspective and the different stages involved in it: definition of indicators, their analysis, prediction, evaluation and improvement. On these topics she published around 20 scientific papers, some of them in top conferences and journals. She has taken part in more than 10 European, National and Regional R&D&I projects, and have experience as a reviewer in top international conferences and journals. 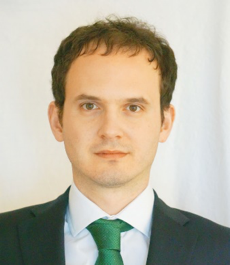 Claudio Di Ciccio is assistant professor with the Institute for Information Business. His research interests include process mining, declarative process modeling, and complex event processing. His work in these fields has been published in international conferences such as BPM and CoopIS, and journals, including Information Systems and ACM Transaction on Management Information Systems. In 2015, his paper entitled “Ensuring Model Consistency in Declarative Process Discovery” has received the best paper award of the 13th conference on Business Process Management. He is member of the IEEE Task Force on Process Mining, and serves as a reviewer for international journals, including Data Knowledge and Engineering, and Formal Aspects of Computing. He has been a PC member of conferences and workshops, such as IJCAI and SIMPDA, and has been the co-organizer of the 1st Workshop on the Role of Real-world objects in Business Process Management Systems (RW-BPMS) in 2014. 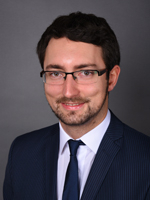 From 2013 to 2015, he has worked as Project Staff Member (Post-doc) for WU Vienna in the context of the “GET Service” EU FP7 project. 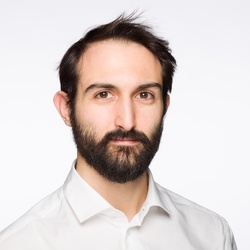 He received his Ph.D. with honourable mention in 2013 at Sapienza University of Rome, with a thesis on the automated discovery of flexible workflows from semi-structured text data sources. 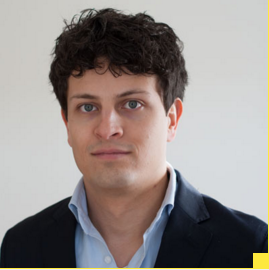 Previously, he had worked as research assistant for the “SM4All” EU FP7 project at Sapienza. He graduated as a B.Sc. (2005) and as an M.Sc. (2008) in Engineering in Computer Science at Sapienza University of Rome. 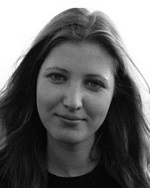 Bettina Distel holds a bachelor's degree in Romance Studies (Heinrich Heine University Düsseldorf, Germany) and a master's degree in Communication Science (WWU Münster). 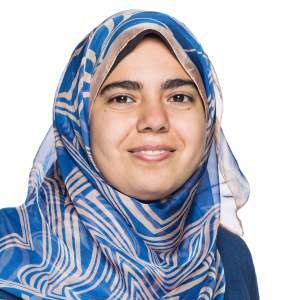 Currently, she is a research assistant and PhD student at the Chair for Information Systems and Information Management and member of the DFG funded research training group ‘Trust and Communication in a digitized world’ at the WWU. Her research interests lie in e-government diffusion and adoption (mainly by citizens), trust in technologies in general and in e-government in particular. Prabhakar (Alok) Dixit is a PhD student with Philips Research on process mining in healthcare. 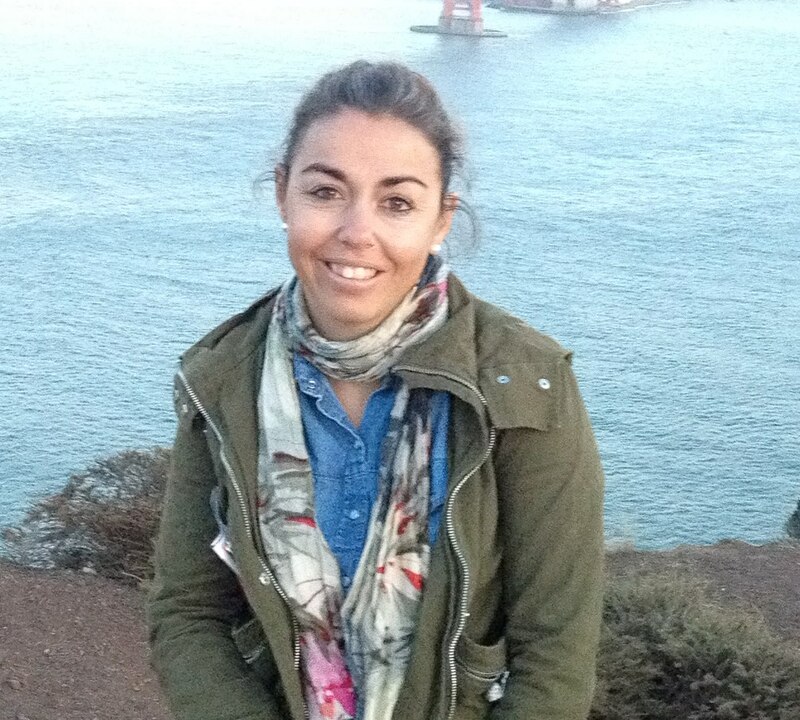 Bedilia is a PhD student at University of Seville. Her dissertation is dedicated to Business Process Management, specifically in definitions and modeling of Process Performance Indicators. 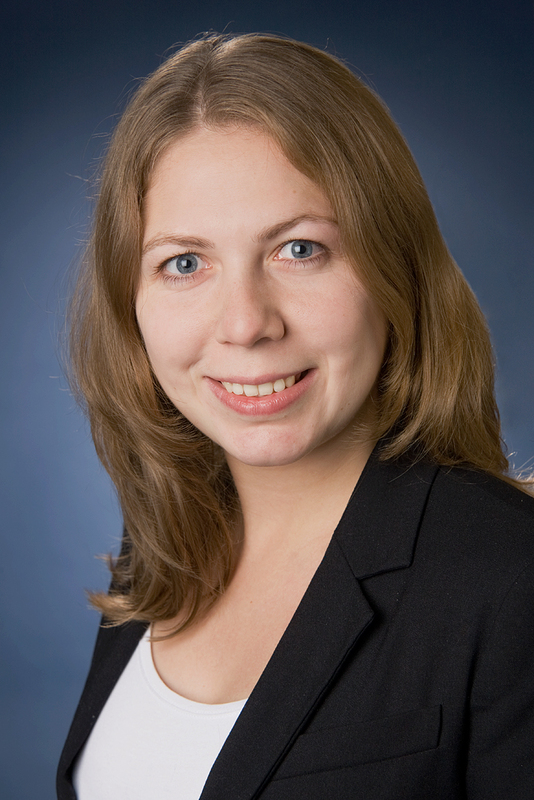 Elena Gorbacheva is a PhD candidate at the Department of Information Systems at the University of Muenster. 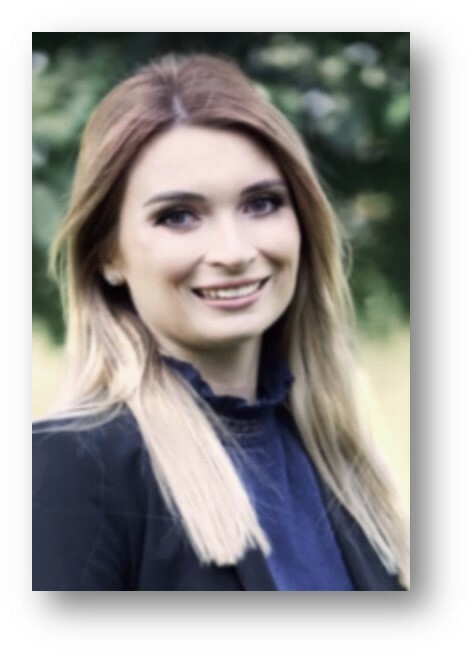 In her PhD thesis, Ms. Gorbacheva addresses the existing challenges of under-representation of women in the Information Technology and BPM workforce, as well as under-theorization and immaturity of the gender and BPM research field. Thomas Grisold is a research and teaching associate at the Institute for Information Business. His research is on organizational unlearning. Thomas has an interdisciplinary background in cognitive science where he focused on epistemology, (experimental) neuroscience and innovation. He is particularly interested in the 'predictive mind‘ framework, proposing that the brain is in the active process of constructing and deploying generative models to predict what is happening in the world. Following this idea, there emerges a circular relationship between what we know about the world and how we come to perceive it. Thus, as it has been argued, we are thinking and acting in cycles of self-fulfilling prophecies where our actions confirm our expectations, and our expectations guide our actions. Arguably, this limits our ability to create new knowledge as we tend to repeat what has worked for us in the past. Thomas is working on metacognitive and behavioral strategies to unlearn knowledge and break these cycles. Thomas is a lecturer for BISII (Betriebliche Informationssysteme II) as well as for courses in the SBWL Informationswirtschaft. He supervises bachelor theses in the fields of organizational learning and unlearning, knowledge-based management and innovation research. 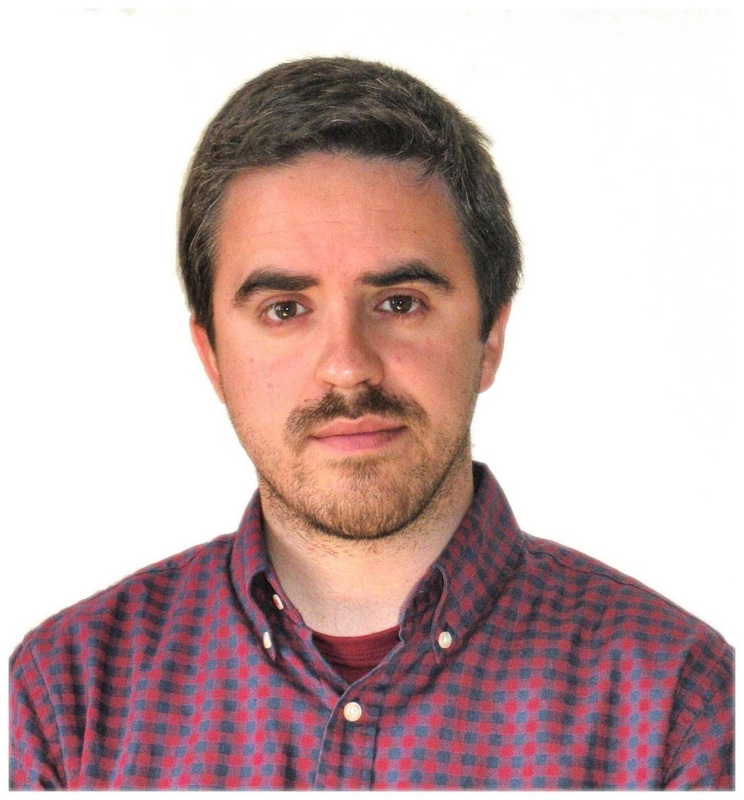 Antonio Manuel is a Ph.D. candidate in the Applied Software Engineering group at the department of University of Sevilla. 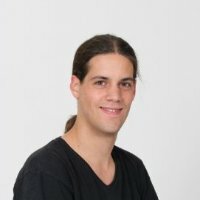 He received his MSc degree in Software Engineering and Technology from the University of Seville in 2011 and a Bachelor of Computer Science in the same University in 2003. His research interests are focused in the area of Service Oriented Architectures. Specifically, his research focuses on the management of service level agreements in computational and non-computational services (such as business process). He has a strong technical background (+10 years) in the development and design of web services in private and public companies to support business processes. 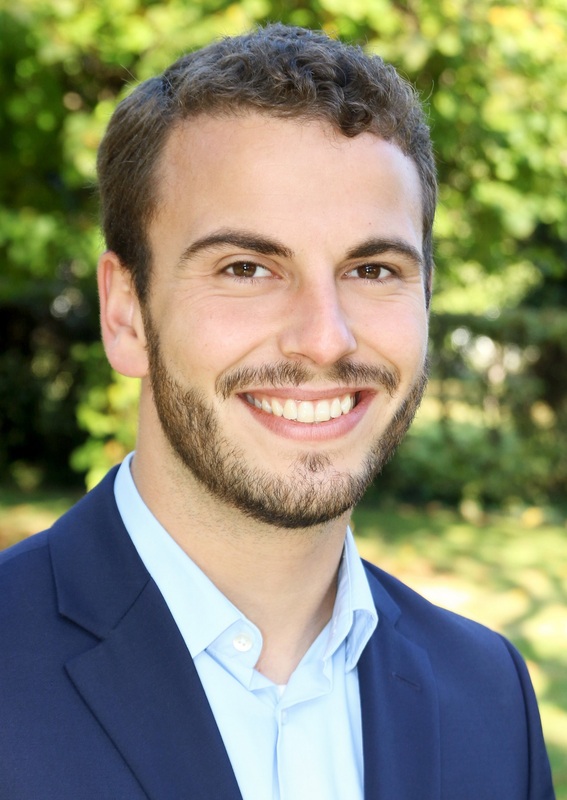 Sebastian Halsbenning is a research assistant and Ph.D. candidate at the University of Münster, where he received his Master's degree in Economics. He also holds a diploma in Public Administration and Management corresponding to his general research activities in e-government. Within this domain, he focusses on process management and data-driven decision making. Markus Heuchert is a research assistant and Ph.D. student at the University of Münster, where he also received his Master's degree. 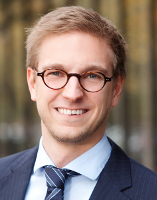 Markus' main research interests comprise conceptual modeling and omni-channel management. At the ERCIS headquarters in Münster he is part of the "ERCIS Omni-Channel Lab powered by Arvato". Bart Hompes is a Ph.D. candidate at the department of Mathematics and Computer Science in the Architecture of Information Systems group at the Eindhoven University of Technology. 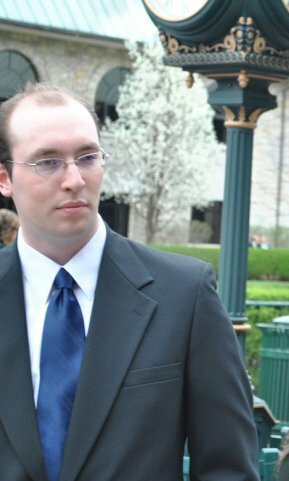 He holds a Bachelor's degree in Computer Science from the PHL University College in Belgium and studied in Kentucky, U.S.A. at Eastern Kentucky University. He received his Master's degree in Business Information Systems from the Eindhoven University of Technology in 2014. Bart's main research area is process mining in healthcare environments. His joint project with Philips Healthcare deals with optimizing processes in healthcare by looking at logged event data using process mining techniques. The primary research focus is on performance in processes with respect to areas such as scheduling, cost, utilization and timing. Roope is a PhD student at University of Liechtenstein. His dissertation is dedicated to the topic enterprise content analytics. 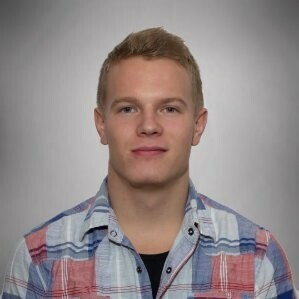 Roope holds a Master of Science in IT and Business Process Management from University of Liechtenstein (LI) and a Bachelor of Science in Economics and Business Administration from University of Turku (FI). Prior to his academic engagement, he gained experience as a research and student assistant at the Information Systems Institute in the University of Liechtenstein, and as a store supervisor at large-sized international garden chain. Patricia Jiménez began her professional career in 2009, when she joined Information Technologies Department at University of Huelva, as a teaching assistant. In October 2015, she received her PhD degree from the University of Seville where she is currently working as a lecturer. 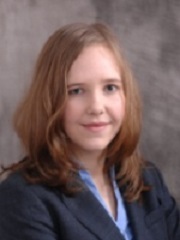 Her research has been focused on Enterprise Information Integration, especially on developing Web Information Extraction techniques for semi-structured web documents, which was the topic of her PhD degree. Currently, her research has evolved to develop unsupervised web information extractors that are open and scalable, as well as on data validation that comes from this kind of techniques. The final goal is to endow these data with semantics so that they can be leveraged by automatic business process that exploit that information in an intelligent way and make profit from it. She relies on three articles published indexed in JCR, and she also rely on a few CORE B publications and a best-paper award received at the “International Conference on Business Information Systems” in 2015. Benjamin Klör is a research assistant at the University of Muenster, Germany. He holds a master's degree in Information Systems from the University of Duisburg-Essen, Germany. He also studied at the University of Zurich, Switzerland. 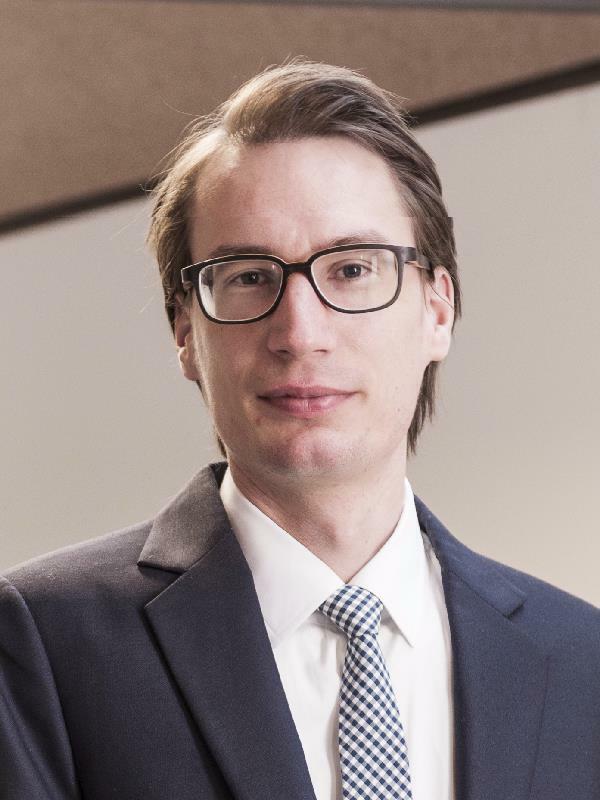 In 2017, he received his Ph.D. degree in Information Systems from the University of Muenster for his work on the design and evaluation of a model-driven decision support system for repurposing electric vehicle batteries. His research interests encompass business intelligence, decision support systems, operations research, and software architectures. He has published his work at leading national and international peer-reviewed journals and conferences. Dr. Changyoung Lee is an Assistant Professor at UNIST. He focuses mainly on: 1) future-oriented technology analysis, 2) systematic technology intelligence, 3) robust technology planning, 4) intellectual property management, and 5) service science. Maikel Leemans is a PhD candidate at the Eindhoven University of Technology. His main research is in the field of Process Mining, with a focus on enabling rich Process Discovery in the area of software analysis, comprehension and model driven engineering. 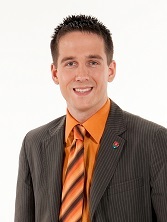 He received his master’s degree in Computer Science and Engineering, with a specialization in Formal System Analysis, from the Eindhoven University of Technology. 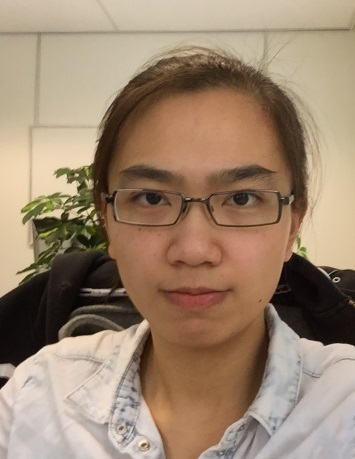 Xixi Lu is a PhD candidate at the Eindhoven University of Technology researching in the areas of architecture of business information systems and process mining. She received her bachelor's degree in Computer Science and Master of Science degree in Business Information Systems from the Eindhoven University of Technology. She also studied Economics and Management at Tsinghua university as an exchange student. Her research interests include process deviance detection and analysis, process mining using partial orders, and conformance checking between process models and recorded logs. Alfonso E. Marquez-Chamorro is a Postdoctoral Researcher at Lenguajes y Sistemas Informáticos Department of the University of Sevilla, Spain. He received his Ph.D. and M.Sc. degrees in Computer Science from Pablo de Olavide University of Sevilla in 2013 and Autónoma University of Madrid in 2009, respectively. His research focuses on Data Mining and Information Systems, specifically in Business Process Management, Process Mining and Predictive Monitoring of Business Process. 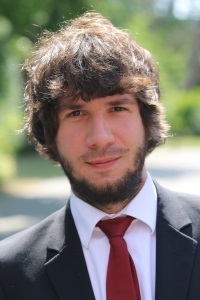 Emanuel Marx is a researcher and PhD student at the “Chair of Digital Industrial Service Systems” of the Friedrich-Alexander-University Erlangen-Nuremberg (FAU). He received his B.Sc. in Industrial Engineering from the FAU and his M.Sc. in the same from the Rheinisch-Westfälische Technische Hochschule Aachen (RWTH). His research interest includes service management and data-driven production planning and scheduling. Martin Matzner is an assistant professor at the Department of Information Systems at the University of Münster, Germany. In 2012, he received the Ph.D. degree in Information Systems from the University of Münster for his work on the management of networked service business processes. His main research interests include business process management, business process analytics, and service management. In these areas, he concluded and currently manages a number of research projects funded by the European Union, the German Federal Government and industry. His work has been published in peer-reviewed academic journals, among others in MIS Quarterly and IEEE Transactions on Engineering Management, and presented at major international conferences. 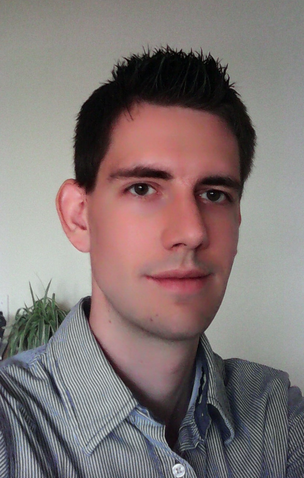 Markus Monhof is research assistant and PhD candidate at the European Research Center for Information Systems (ERCIS), University of Münster. He received his Master's degree from the University of Paderborn. 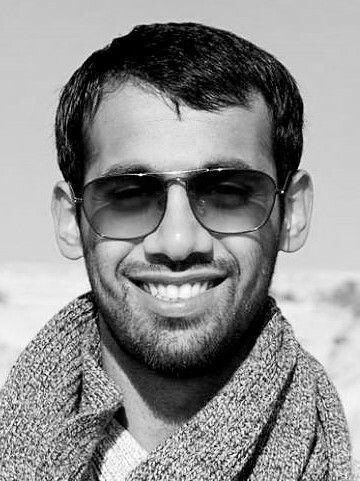 His research interests include software engineering, business intelligence, and operations research. Currently he is working in a research project in the field of electric mobility. Lecturer and member of the Applied Software Engineering Group (ISA, www.isa.us.es) at University of Sevilla, Spain. He obtained his PhD in Computer Science from this University. His current research line includes service oriented computing, specifically the automated analysis of service level agreements and the application of such analysis at SLA design and monitoring. 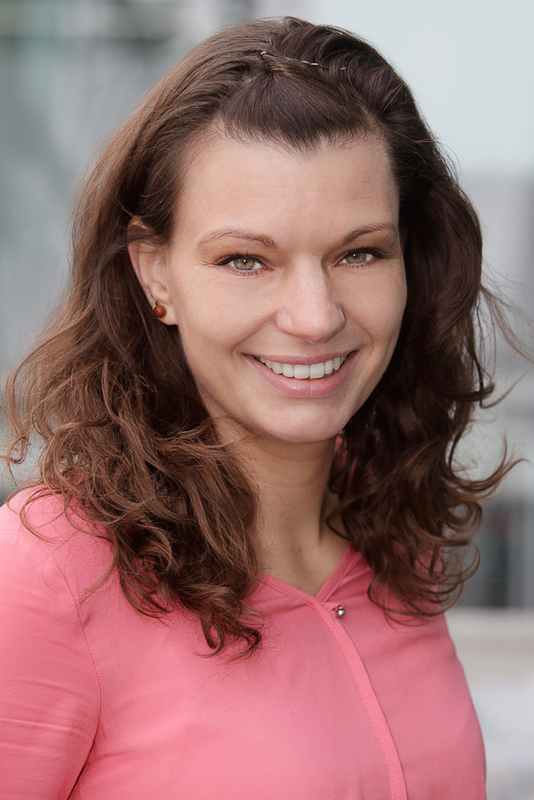 Nadine Ogonek is a research assistant and a Ph.D. student at the University of Muenster. She received her Master's degree from Heilbronn University . Her research interests are focused around topics such as BPM in e-Government as well as education and training in and adoption of e-Government. She is currently involved in a research project that aims at developing a European-wide executive training concept in BPM. 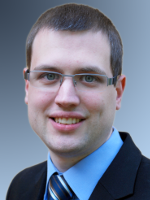 Kevin Ortbach is a Ph.D. candidate at the European Research Center for Information Systems, University of Münster and the Hertie School of Governance, Berlin. He holds both a Master and a Bachelor of Science in Information Systems from the University of Münster. He also studied at Stevens Institute of Technology in Hoboken, NJ, USA. Kevin has been a visiting researcher at Queensland University of Technology in Brisbane, Australia, and guest lecturer at Aalto University School of Economics in Helsinki, Finland. His research interests are appropriation of consumer technologies and individual information systems, HCI, and business process management. Ute Paukstadt is a research assistant at the “Chair for Information Systems and Information Management” of the University of Muenster which is part of the “European Research Center for Information Systems.” She holds a Master of Science in Information Systems from the University of Duisburg Essen, Germany. Ute Paukstadt worked for different authorities in the area of E-Government, particularly introduction of document management software / e-files and process management. 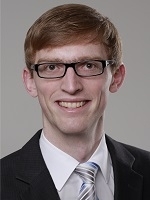 Tobias is a researcher and PhD student at FAU Erlangen-Nürnberg. He has a bachelor’s degree in Technology Management as well as a master’s degree in Management. 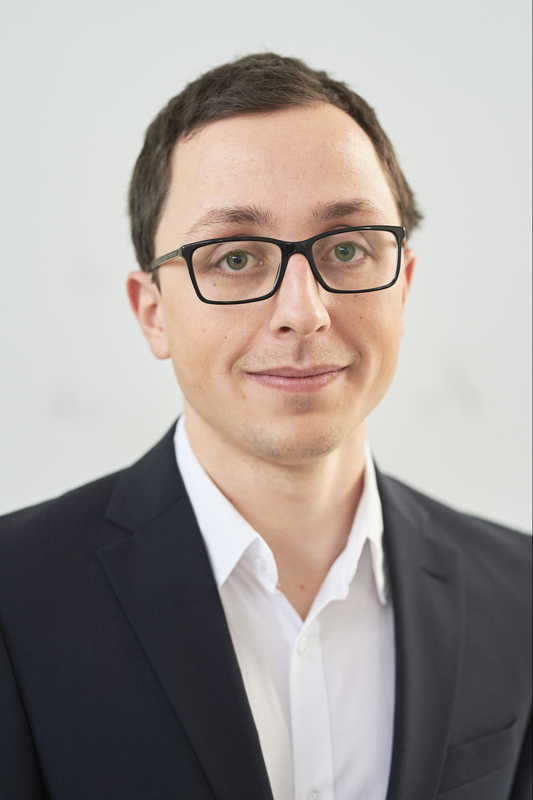 In his research, Tobias focuses on smart services and the increasing interdependencies between business models and processes caused by the increasing dissemination of digital technologies. 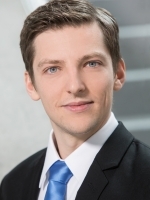 Florian Plenter is research assistant and PhD candidate at the European Research Center for Information Systems (ERCIS), University of Münster. He received his Master's degree from the University of Münster. Currently he is working in a research project in the field of electric mobility. His research interests cover energy economics, the Sharing Economy, and especially how services and information systems support new business models in the domain of electric vehicles. 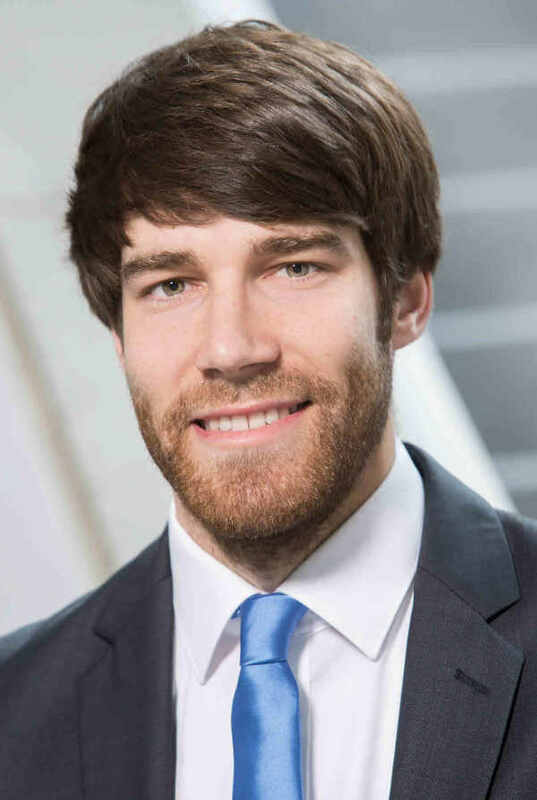 Manuel Raffel recently finished his Undergraduate Studies in Business, Economics and Social Sciences at the WU Vienna and is currently enrolled for the Master Program in Information Systems. He attended a Higher Technical Training and Testing Institute specializing in electronic data processing and business organization and gained practical experience as software engineer and later as project manager at a software developing company located in Vienna. 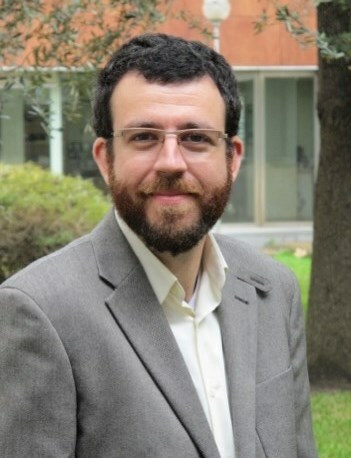 Dr. Manuel Resinas is an Associate Professor at the Universidad de Sevilla, Spain and he leads the research line on Business Process Management at the ISA Research Group (www.isa.us.es). He is also the director of the Master of IT and Software Engineering at the same university. His research areas include analysis and management of service level agreements, business process management and analytics and cloud-based enterprise systems. He has published more than 50 research papers and articles, among others in IEEE Transactions on Service Computing, Information Systems, and International Journal of Electronic Commerce. 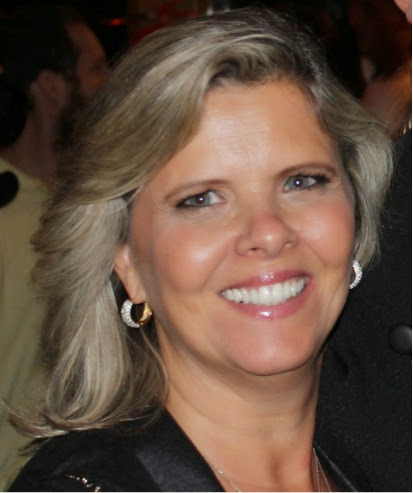 Kate Cerqueira Revoredo is a Professor of the Department of Applied Informatics at the Federal University of the State of Rio de Janeiro (UNIRIO), Brazil. She obtained a D.Sc. and a M.Sc. in Computer Science with emphasis in Artificial Intelligence from the Federal University of Rio de Janeiro (COPPE-UFRJ). During her D.Sc. studies in the context of automatic adaptation of probabilistic relational models, she was a visiting researcher at Machine Learning and Natural Language Processing Lab at Albert-Ludwigs-University Freiburg, Germany. Her experience and research work focus on machine learning, data mining, social media analytics and ontology alignment. 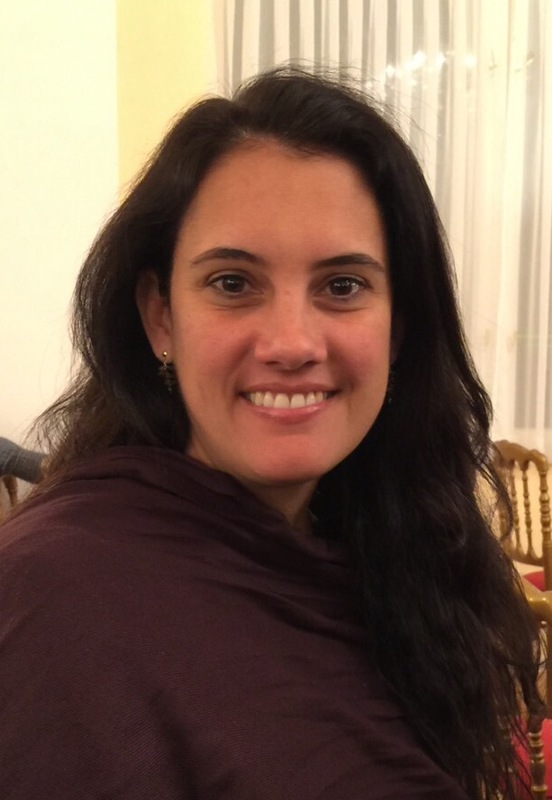 She participates in several program committees of national and international journals and conferences, and is a member of the Brazilian Computer Society and the Brazilian Special Commission in Artificial Intelligence. 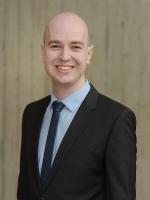 Dennis Riehle is a research assistant and Ph.D. candidate at the Chair for Information Systems and Information Management of the University of Münster, where he also received his Bachelor's and Master's degree in Information Systems. His research interest is in the area of conceptual modeling and process management, with a focuns on process mining and compliance. In 2017 he won the ER Demos tool award at the Conceptual Modeling Conference in Valencia, Spain. Dr Flávia Maria Santoro is an Associate Professor at Applied Informatics Department of the Federal University of the State of Rio de Janeiro, Brazil. She received her Ph.D. and M.Sc. degrees in Computer Science from Federal University of Rio de Janeiro (COPPE-UFRJ). Her research focuses on Information Systems, especially on the following subjects: Business Process Management, Knowledge Management, Computer-Supported Cooperative Work and Computer-Supported Collaborative Learning. 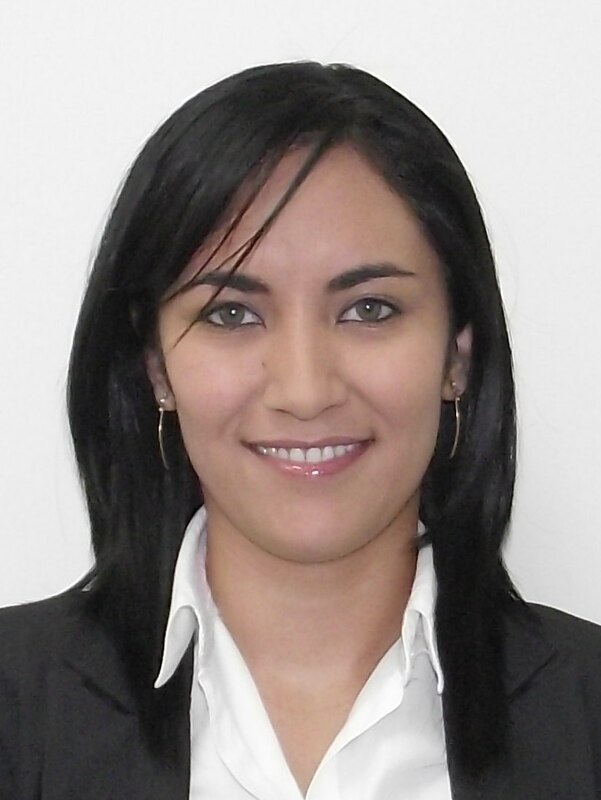 She participated in Latin-American research projects and has experience in organizing workshops and conferences. She joint the Université Pierre et Marie Curie - Paris VI, França (2004-2005) and Queensland University of Technology, Austrália (2012-2013) in sabbatical research projects. Gleison Santos is a Professor of the Department of Applied Informatics at the Federal University of the State of Rio de Janeiro (UNIRIO), Brazil. He obtained a D.Sc. and a M.Sc. in Computer Science with emphasis in Software Engineering from the Federal University of Rio de Janeiro (COPPE-UFRJ). Her experience and research work focus on software process improvement, measurement, and experimental software engineering. He participates in several program committees of national and international journals and conferences. 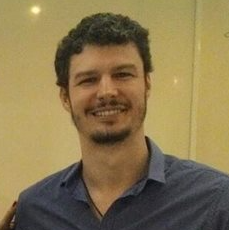 He is a member of ACM and of the Brazilian Computer Society. The core research interests of Bernd Schenk are Serviceoriented Architectures (SOA), Enterprise Resource Planning systems (ERP systems) and Business Process Management (BPM). 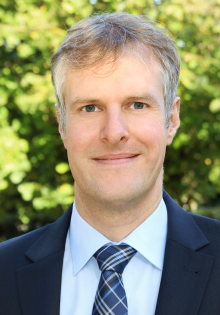 Bernd Schenk is executive director of the master's degree programme in Information Systems and academic director of the bachelor's degree programme in Information Systems. He is a member of the standing committee for further education and responsible for SAP TERP10 certification. He is a lecturer in the bachelor's degree programmes in Business Administration / Information Systems and in the master's degree programme Information Systems. Furthermore, he is involved in the activities of the CC-Initiative and the Liechtenstein Chapter of the AIS (LCAIS). 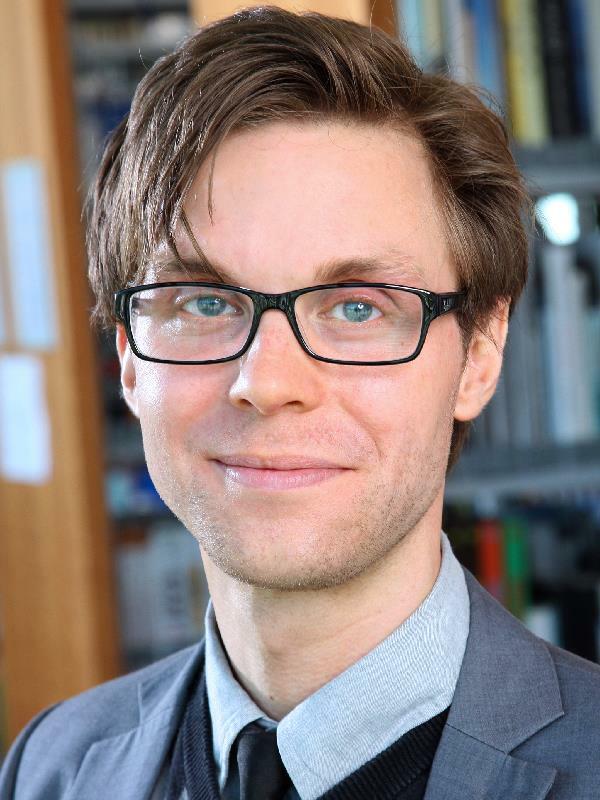 Bernd's research has been published in several conference proceedings, including the American Conference on Information Systems (AMCIS) and the International Conference on Business Information Systems (BIS). Alexander is a PhD student at University of Liechtenstein. His dissertation is dedicated to the topic organizational transformation through information technology. 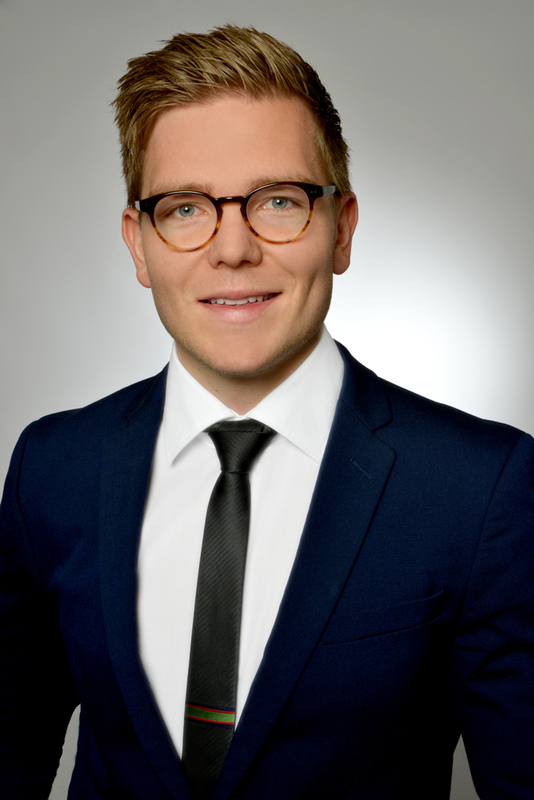 Alexander holds a Master of Arts in Economics and Business Administration from University of Zurich (CH) and a Bachelor of Science in Business Administration from University of Bern (CH). Prior to his academic engagement, he gained experience as research analyst at SAP, Business Intelligence and IT consultant at mid-sized consulting boutique, and as business controller in an globally operating Swiss bank. 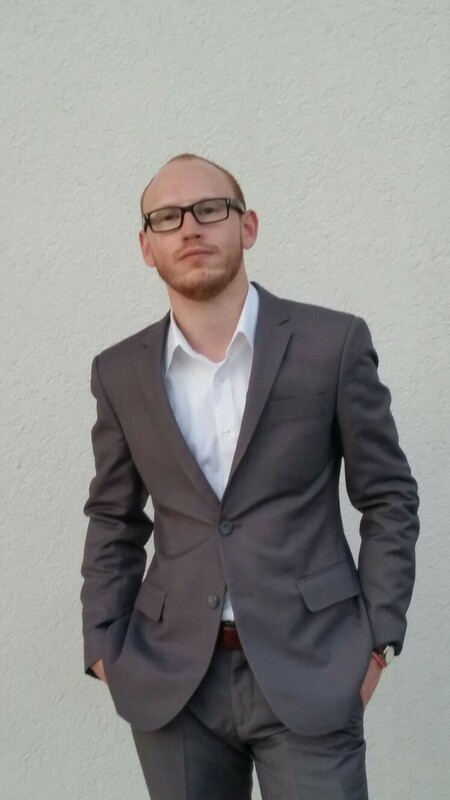 Hendrik Scholta is a research assistant and Ph.D. student at the Westphalian Wilhelms-University Muenster. He received his Master's degree and Bachelor’s degree from the Westphalian Wilhelms-University Muenster. His research interests include e-government, conceptual modeling and business process management. 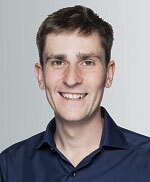 Dr. Alexander Simons is an Assistant Professor of Information Systems at the University of Liechtenstein, where he also earned his PhD in Business Economics. He received his BSc and MSc in Information Systems from the University of Muenster. 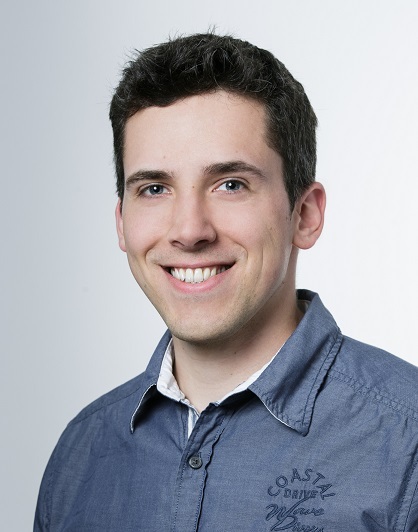 Andreas Solti is a post-doc researcher at the Institute for Information Business at the WU Vienna, Austria. 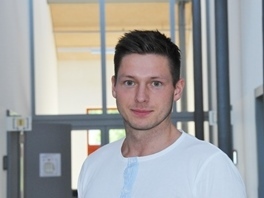 He completed his Ph.D. studies entitled "Probabilistic Estimation of Unobserved Process Events" under the supervision of Prof. Mathias Weske in the BPT group of the Hasso Plattner Institute of the University of Potsdam. Currently, he is working on the European FP7 project SERAMIS. 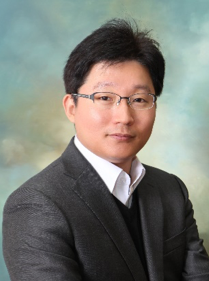 Dr. Minseok Song is an Associate Professor at the Department of Industrial & Management Engineering at POSTECH. Before joining POSTECH, he worked at UNIST (Ulsan National Instittue of Science and Technology) as an Assistant/Associate Professor for 6 years. Hw also worked at SNUT (Seoul National University of Technology) as a research professor. He also stayed at the Information Systems (IS) department of the Technology Management (TM) of Eindhoven University of Technology (TU/e) as a postdoctoral researcher from Feb. 2006 until Aug. 2009. He was also a member of the research school Beta at TU/e. His research focuses are BPM and process mining. Special areas of research are process mining in healthcare industry and manufacturing process analysis. Currently, he is involved in several research projects with industry partners such as Hyundai Heavy Industries, SNU Budang Haspital, etc. Armin Stein is Managing Director of the European Research Center for Information Systems (ERCIS). He received his PhD from the University of Münster, Germany in 2010. 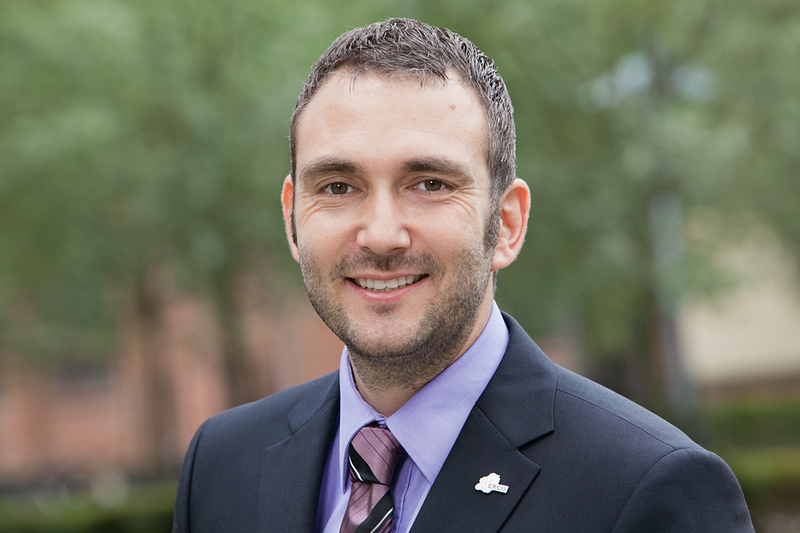 Armin’s research focuses on BPM and in particular on information modeling and workflow management. His research has been presented at conferences such as ECIS and ER and published in journals such as CAIS and EMISA. 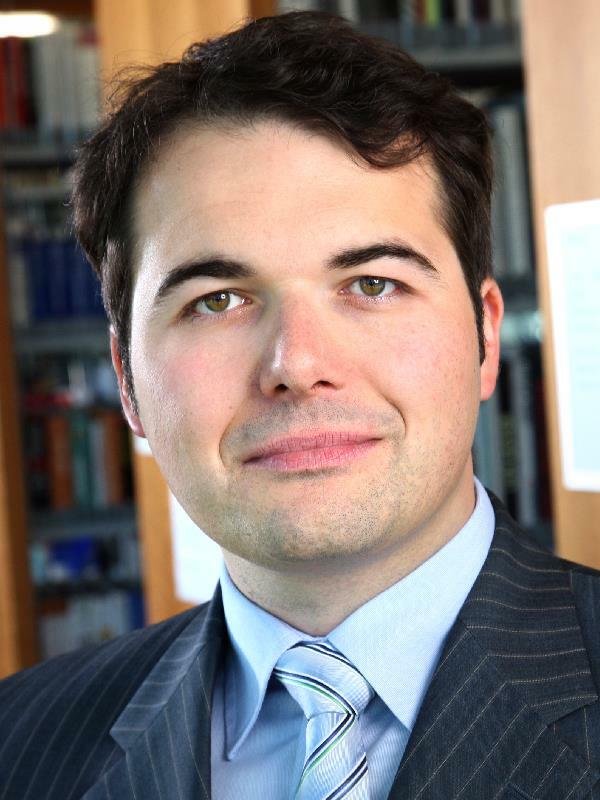 In addition to his management activities, Armin is senior lecturer for BPM and Workflow Management at the University of Münster. 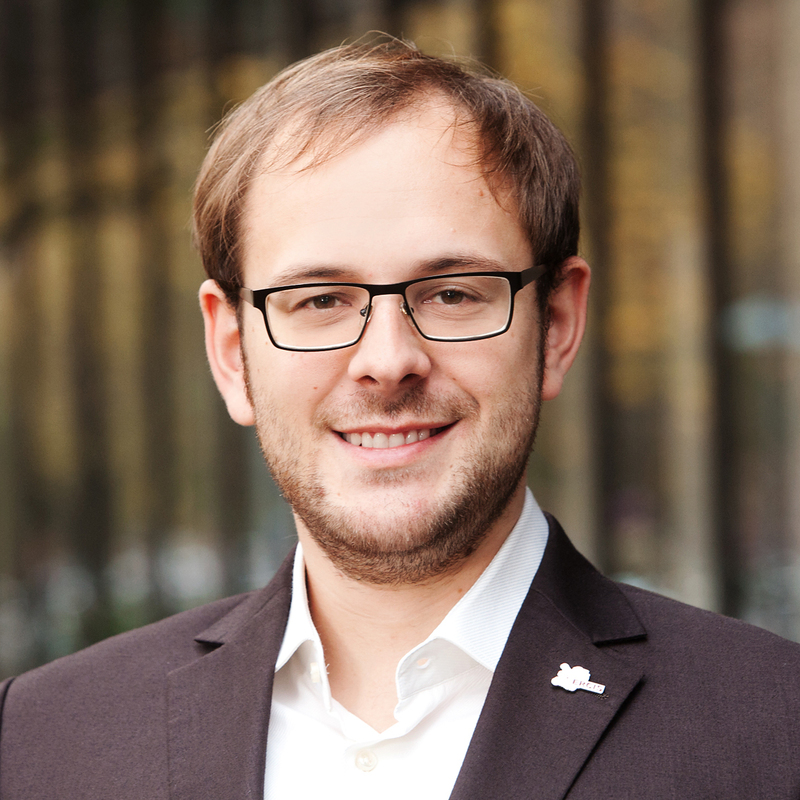 Matthias Stierle is a researcher and PhD student at the FAU Erlangen-Nürnberg. He obtained his Bachelor's degree in Business Engineering from the Karlsruhe Institute of Technology (KIT) and his Master's degree in Information Systems from the Technical University of Munich (TUM). 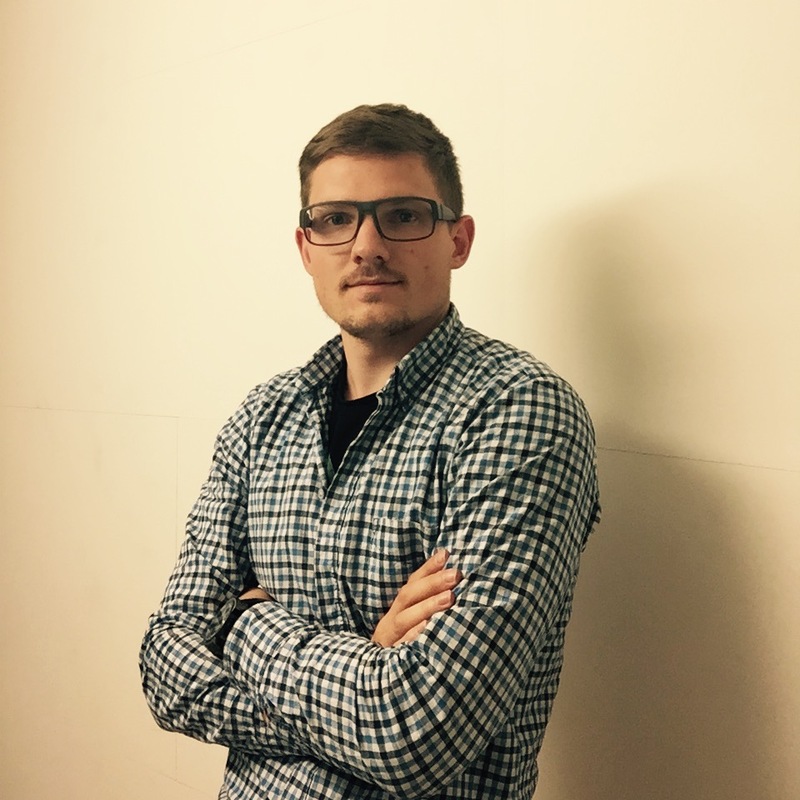 Matthias has worked for 3 years as a Data Scientist for Celonis gathering experience in applied Process Mining. Niek Tax obtained his BSc and MSc in Computer Science (with focus on machine learning) at the University of Twente. His master thesis dealt with the comparison of machine learning algorithms for application in information retrieval and the implementation of such algorithms in MapReduce. Currently, Niek is a PhD student in the field of process mining at Eindhoven University of Technology and Philips Research. 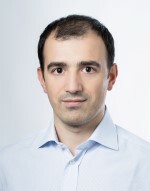 In his work he focuses on analyzing flexible processes using label refinements and Local Process Models (a technique which can be positioned in-between process mining and frequent pattern mining). Matthias is a PhD student at University of Liechtenstein. His dissertation and so his research is focused on the topic of applied behavioral change interventions in E-Fundraising. Specifically, his research purposes tend to develop principles on how to increase funding on crowdfunding platforms using experimental research. 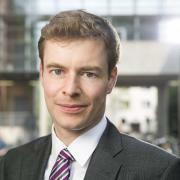 Matthias holds a Master of Science in Business Administration and Engineering from Berlin Institute of Technology. MSc. 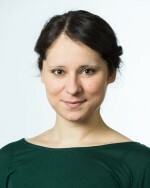 Svitlana Vakulenko is a researcher at the Institute for Information Business at WU Wien and a PhD student in Informatics at TU Wien. 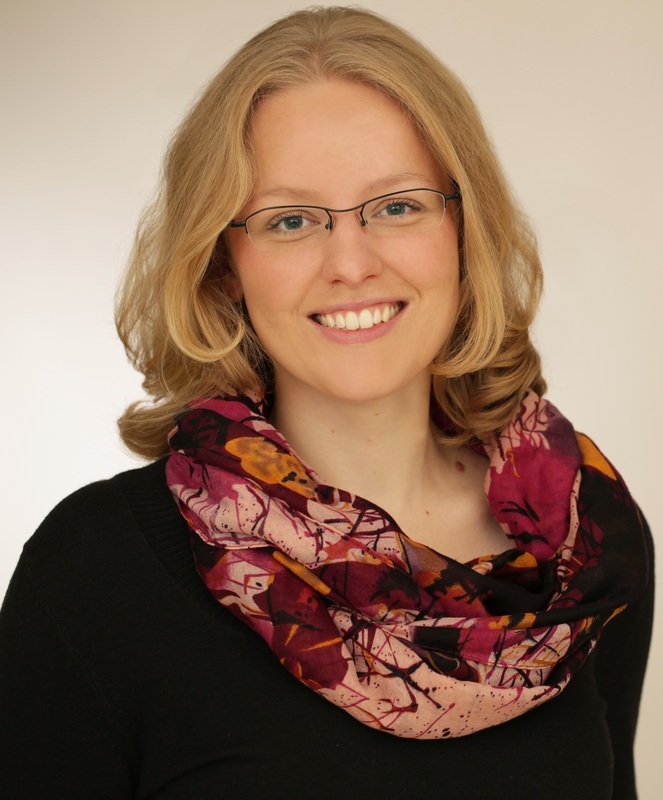 She previously received her MSc in Software Engineering from the University of Tartu, Estonia. Her research expertise lies in the area of machine learning for natural language processing. She has been involved in several international research projects and is currently working in CommuniData FFG project (communidata.at), which aims to enhance usability of Open Data and its accessibility for non-expert users in local communities. Maikel L. van Eck is a Ph.D. candidate in the Architecture of Information Systems group at the department of Mathematics and Computer Science of the Eindhoven University of Technology. 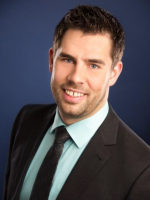 He received his MSc degree in Business Information Systems from the Eindhoven University of Technology in 2013. His research interests are focused in the area of process mining. Specifically, the application of process mining in settings with sensor data, and the discovery of state-based process models. He is involved in the IMPULS collaboration project of Philips and the Eindhoven University of Technology. Moritz von Hoffen is research assistant at the University of Münster. He received a M.Sc. degree in computer science from the Freie Universität in Berlin, Germany. 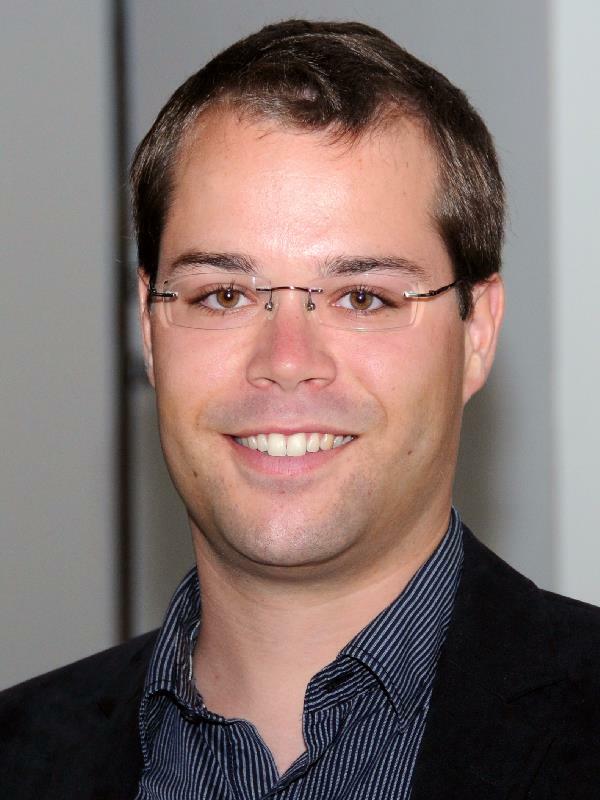 Prior moving to Münster, he worked at the Technical University Berlin and Telekom Innovation Laboratories focusing on Context-aware Services. In 2018, he received his Ph.D. degree in Information Systems from the University of Muenster. Moritz' current research interests lie in the domain of the Sharing Economy and electric mobility. 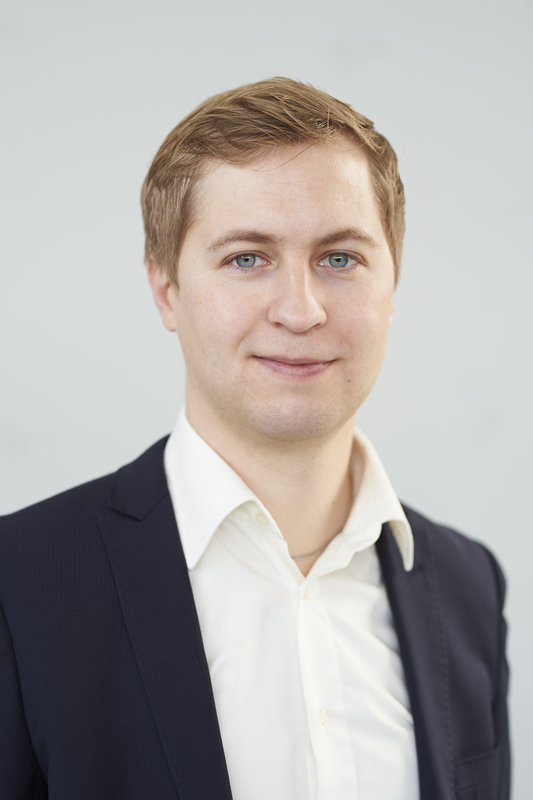 Lasse von Lojewski is a research assistant and Ph.D. candidate at the Chair for Information Systems and Information Management of the University of Münster, where he also received his Bachelor's and Master's degree. His main research interests comprise business process management and software selection in the retail sector, especially for retailers' cooperatives. 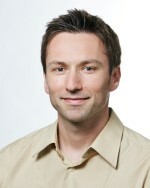 Markus Weinmann is an Assistant Professor at the Institute of Information Systems. Before joining the team in Liechtenstein, Markus did his Ph.D. at the Braunschweig University of Technology working on the topic "Personalization of E-Commerce Websites". 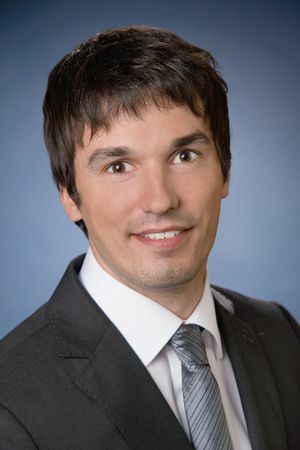 Further, Markus did research and has taught at several Universities, including City University of Hong Kong, Technical University of Sofia, and Braunschweig Institute of Technology. 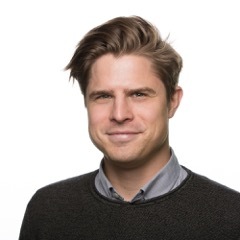 Markus conducts research from a behavioral science perspective, with a focus on website design and applied behavioral economics, in particular, on decision making, behavior change mechanisms, online choice architecture as well as emotion detection. He follows a quantitative-empirical research approach with experimental and correlational research designs. To collect data, he mainly uses laboratory and web-based experiments. Isabell Wohlgenannt is a PhD candidate and research assistant at the University of Liechtenstein. Before, she has obtained her BSc and MSc in Information Systems from the University of Liechtenstein, and has gained experience working as a process analyst in a software company in Liechtenstein for three years. erhard Wohlgenannt is an assistant professor at the Institute of Information Business of the Vienna University of Economics and Business. He completed his PhD thesis in the field of ontology learning on a method for learning ontology relations by combining corpus-based techniques and reasoning on data from Semantic Web sources in 2010. In July 2016, he received his habilitation degree (venia docendi) in Business Informatics ("Wirtschaftsinformatik"). Gerhard Wohlgenannt participated in a number of research projects at the Vienna University of Economics and Business such as DIVINE, RAVEN, IDIOM and AVALON, where he extended the webLyzard architecture and semantic services and used his expertise in technologies such as the Python programming language and the PostgreSQL DBMS. 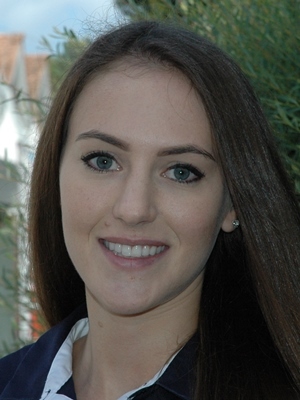 Verena Wolf is a research assistant and Ph.D. student at Paderborn University since 2016. She graduated with a double degree from Paderborn University and Illinois State University (USA). Her main research interests comprise service innovation and organizational routines. She is looking on engineering methods for innovative services that meet the requirements of a digitally transforming organization. Thereby, she is considering the dynamics of organizational routines, which can serve as source for innovation on the one hand, but are also a crucial part for implementing innovations in an organization on the other hand. Sebastiaan J. van Zelst is a Ph.D. candidate at the department of Mathematics and Computer Science in the Architecture of Information Systems group at the Eindhoven University of Technology. He holds a Bachelor's degree in Computer Science from the Eindhoven University of Technology. He received his Master's degree in Business Information Systems from the Eindhoven University of Technology in 2013. His main research interests are: process mining in dynamic, stream based, environments, ILP-based process discovery and process mining evaluation.